MIDLAND, Mich. - It's not often you start the "perfect game" watch. For some, you wait until a pitcher has been through the lineup twice after the 6th inning. 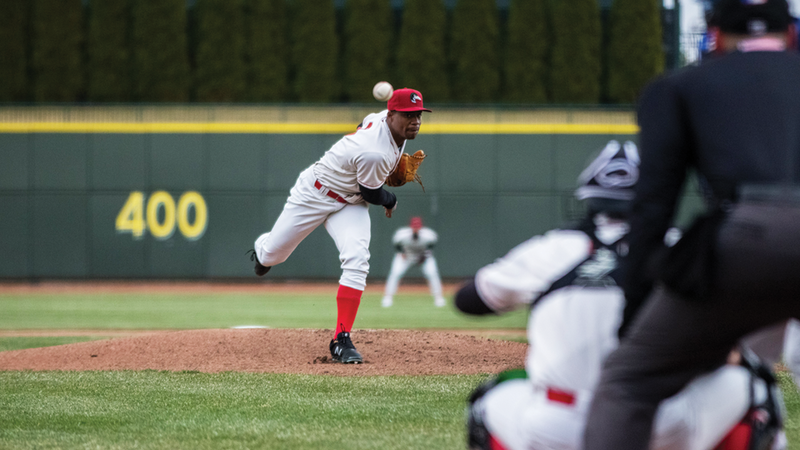 For Josiah Gray, he didn't get that chance with the Great Lakes Loons on Thursday as he was removed after five perfect innings. The South Bend Cubs got to Austin Drury (L, 0-1) just enough in the later innings to prevail 2-1 and split the series. That is now back-to-back starts for Gray, 21, where he has dominated the opposing team's lineup. So far this season the right-hander has allowed just one earned run and two hits in 9.2 innings pitched. Couple that with just two walks and 11 strikeouts, and the former second round supplemental pick by the Cincinnati Reds is turning a lot of heads around Minor League Baseball early in the 2019 season. Both teams have struggled to showcase any major power at the plate this season and the game remained scoreless heading into the 7th. That's when Jonathan Sierra singled to centerfield to score Levi Jordan to break the scoreless deadlock. Jordan then came up in the next frame and singled himself to plate South Bend's (4-4) second and eventual winning run. Dan Robinson, who gave the Loons their first walk-off win of the season on Monday, pulled a run back with a bases-loaded single in the bottom of the 8th inning. But the rally ended there. In the bottom of the 9th, Drew Avans was able to work his way into scoring position at second base, but Ethan Roberts (SV, 1) was able to earn the extended save and preserve the victory. The doubles category did receive a slight boost thanks to Dillon Paulson producing one of just two extra-base hits in the game. Still without a triple or home run, the Loons (3-5) continue to lead the Midwest League with 22 doubles. Romer Cuadrado was the lone Loons player to have a multi-hit game, boosting his season average to .320. He is second on the team to Hunter Feduccia, although Cuadrado has 10 more at-bats than the catcher. 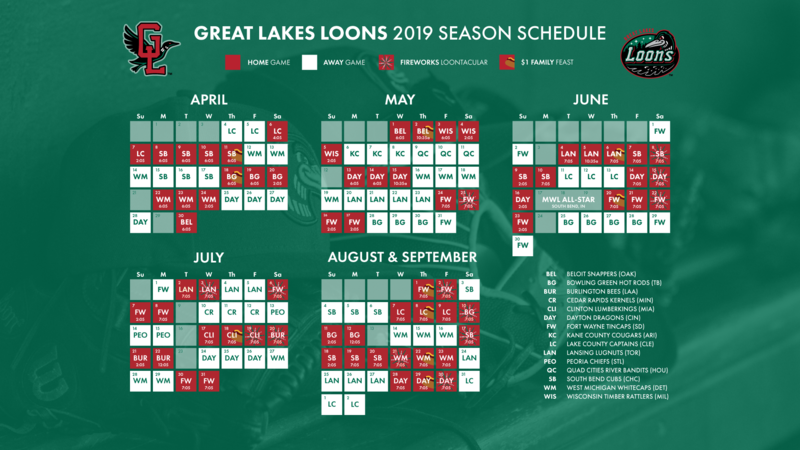 With that, the Loons now head out on the road for their first extended road trip of the season that will see them visit the West Michigan Whitecaps (April 12-14) and these same South Bend Cubs (April 15-17). They'll return to Dow Diamond on April 18 to begin an extended six-game homestand that will see an off day to observe Easter sandwich in between series.